One of Edgware’s youngest communities certainly created a memorable ShabbatUK programme with an array of unique events and activities throughout the weekend. Their Challah Make brought together two different communities as members joined Langdon service users to knead challah, while a new spin was put on Friday Night proceedings with the ‘Shots & Sushi’ Kiddush that followed the upbeat Carlebach service. Langdon residents came back for a musical Melava Malka with a thoroughly British twist – a Fish ‘N’ Chips supper! ‘We made multi-coloured rainbow challah at our Challah Make, a fun and stimulating activity which perfectly suited Brady Club attendees and Ahavas Yisrael ladies and girls. It was a moving, unique and uplifting event. It was great to see children, parents, ladies and visitors who don’t regularly attend Friday night services at our Carlebach Friday Night service, which was incredibly uplifting. Our events enhanced the connection between Ahavas Yisrael and Langdon, where our Shabbat services are held. They demonstrated to the wider community our ethos of inclusion, warmth and hospitality’. We had a Challah Bake led by Rebbetzin Vanzetta attended by 12 ladies and girls. Friday night, Carlebach Kabbalat Shabbat service and communal dinner with Guest speaker Rabbi Chaim Rapoport. Shabbat Morning service with Guest speaker and shot and sushi kiddush. Lastly a D’var Torah before Mincha. 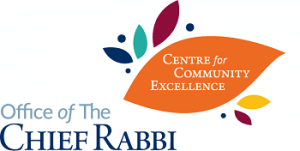 Our Shabbat UK events made a significant and positive impact on our kehillah. They enhanced the feeling of closeness within our community, demonstrating the warmth and inclusiveness we show to our members and guests. With a focus on inclusiveness, Ahavas Yisrael helped bring ShabbatUK to the wider Langdon community, starting with a Challah make on Moday 25th. Their inclusive ethos was further demonstrated by dedicating Shabbat to adults, young people and children with special needs, who along with their families, joined the kehilla on Friday night for a special service and dinner marking the uniqueness of ShabbatUK. . Langdon residents also took part in the service on Shabbat morning, experiencing call ups to the Torah reading, opening the ark and singing.